When you hear someone talking about Lego, the first thing that comes to your mind are those tiny bricks that fit together so well. You can make all sorts of toys out of them. They don’t seem like a good source for breaking any record though. Still, in the Lego world, records are being broken very often. Even the Lego Group is a record itself: the largest toy manufacturer in the world. It wouldn’t have come so far without having the cults of performance and pushing its own limits. But leaving the business’ successes aside, these little pieces lead to breaking some astonishing records. If you think that I’m exaggerating, let me share some of them with you and then we’ll talk! Many gigantic Lego towers have been constructed so far. But the highest of them all was done in Milan, Italy: 35.05 m 1)”LEGO Italia’s colossal plastic brick structure towers over previous record” by Rachel Swatman, article published in Guinness World Records on the 1st of July 2015. For a Lego tower to reach the Moon, it would need 40 billion bricks 2)”LEGO® Fun Facts – Brick Edition – Did you know?” – video material published by Lego on the 9th of May 2015. The pieces are there, when do you start? How many Lego bricks do you think you could join in one single line? It couldn’t be as big as the Great Wall of China, could it? Still, think about a length. A Lego brick of 4×2 (the most common one) has a length of 32 mm 3)”Lego: Dimensions” by Robert Cailliau, article published on the 8th of June 2014. That means for a 100m row, you’d need 3125 pieces plus another 3124 joint pieces. Reasonable enough. But a true Lego aficionado wouldn’t waste his time on such cheap tricks. Between the 31st of January and the 12th of February 2005, at the market place of Shopville Le Gru in Grugliasco, Italy, children from 6 to 60 years gathered to put together the longest Lego sequence. And because it had to be something great, they chose to make a myriapod 4)”Guinness dei primati alle Gru?” – article published in Traspi on the 30th of January 2015. 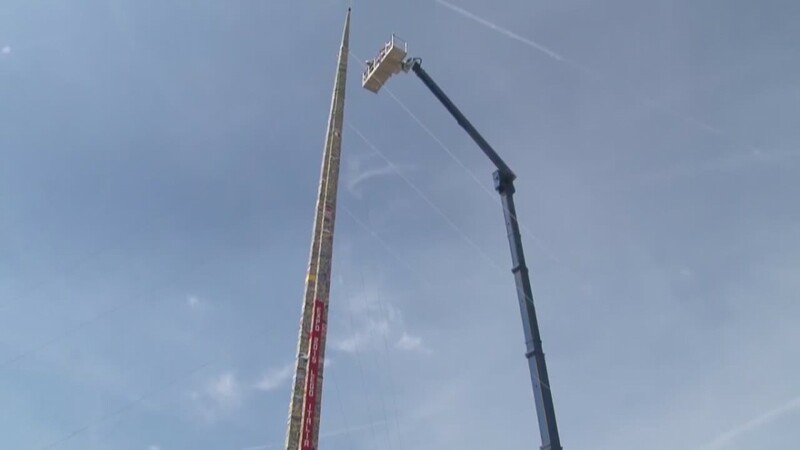 A very colorful one, which, in the end, came to measure… 1578.8 metres! Never has existed a myriapod with more legs than this one. 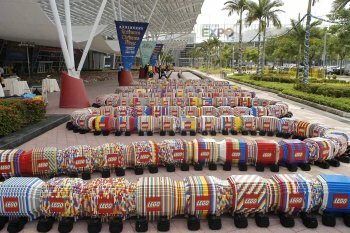 2,901,760 Lego pieces were needed 5)”Langste LEGO Bouwwerk (Duizendpoot)” – article published by Miniland, and the achievement was written down in the register by the representative of Guinness World Records. On the 29th of November 2006, at the SEE Science Center in Manchester, New Hampshire, the official completion of the most complex diorama ever made was celebrated: The LEGO Millyard Project. Approximately 3 billion Lego pieces were needed and were assembled over 2 and a half years. All in order to build a 200 m2 maquette of the Amoskeag Millyard factory, the biggest manufacturer of cotton textiles in the world around 1900 6)”Amoskeag Manufacturing Company” in Wikipedia. In 2014, at the Brick Expo in London, the visitors took part in the construction of the biggest diorama inspired by a video game: Minecraft, of course, with which Lego has been working excellently over the years. And that’s how more than 17 m2 of a single Lego theme were covered in no time, registering a new entry in the Guinness World Records 7)”Guinness World Records 2016” – book published by Guinness World Records in 2015. 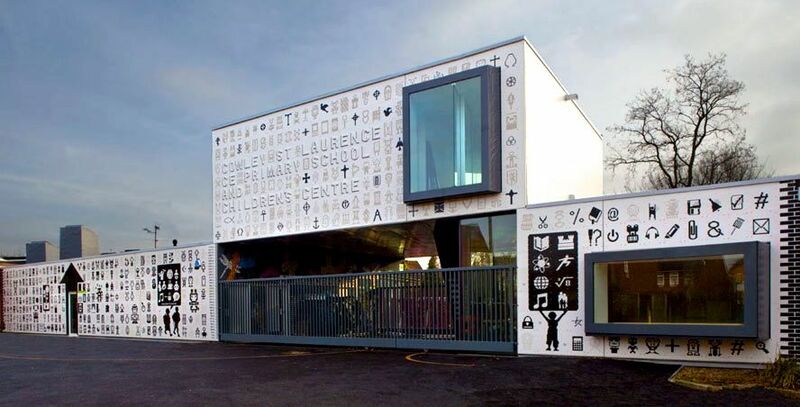 On the occasion of some expansion and rehabilitation projects at the Cowley St. Laurence Church of England Primary School and Children’s Centre, the company What_architecture had an awesome idea: What would it be like to get the children involved?! After all, the construction is for them. In a nutshell, they decided to make the facade out of… Lego bricks. Ordinary Lego bricks. Every child was assigned a parcel the size of an A4 sheet of paper to do with whatever their heart desired. In order to make the facade have some sort of coherence, only white and black Lego bricks were used. Maybe a more cheerful colour would have been welcomed. Anyway, it turned out to be something great! The 1.2 billion Lego facade covers 250 m2. It is the biggest mosaic of this kind ever made 8)”Cowley St. Laurence Church of England Primary School and Children’s Centre” – article published in Architect Magazine on the 21st of September 2012. 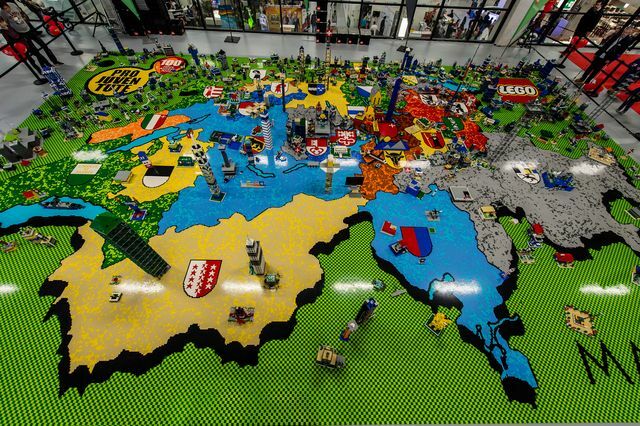 On the 6th of October 2012, at a toy fair in Berna, a map of Switzerland was presented, made out of about 2 million Lego bricks. It covers 153 m2. In China a map inspired by the “Heroes of Newerth” video game was made. The map reproduced in great detail the Forests of Caldavar, and has a surface of 256×256 cm. 526.372 Lego pieces were needed for this 3D wonder 9)”Heroes of Newerth – Tencent creates world’s largest LEGO game map” – article published in MMO Culture on the 29th of November 2014. The biggest virtual map for the Lego aficionados is Build with Chrome. Practically anyone can make their own construction out of virtual Lego bricks and put it on the map of the world. But, before trying it, just think about how many hours you really have to lose. If you count yourself among the Star Wars fans, then you know perfectly well what an X-Wing looks like. You probably dream of getting in one. If you count yourself among the Lego aficionados as well, maybe you actually constructed an X-Wing for yourself. A small one, to play with, not an actual scale model! Or, could it be…?! On the 23rd of May, 2003, in Times Square, New York City, a giant X-Wing made its appearance: 13 m in length, 3.35 m in height and a 13.5 m wingspan. As if that wasn’t impressive enough, the spaceship was built out of 5,335,200 Lego pieces! A metal framework was needed in order to sustain the construction, reaching a total of 20 tons in weight 10)”This Incredible Full Scale Lego X-Wing Is the Largest Model In History” by Jesus Diaz, article published in Gizmodo on the 23rd May 2013. The event was organised for the premiere of the animation series “The Yoda Chronicles” on Cartoon Network. The series, inspired by Lego Star Wars was not a big success, but this X-Wing made history: the biggest Lego construction ever built. After the event, the spaceship landed at Legoland in Carlsbad, California. It’s nothing out of the ordinary to make Lego ships. After you finished one, you think about making another, bigger and fancier. But some people push this thought beyond its limits. 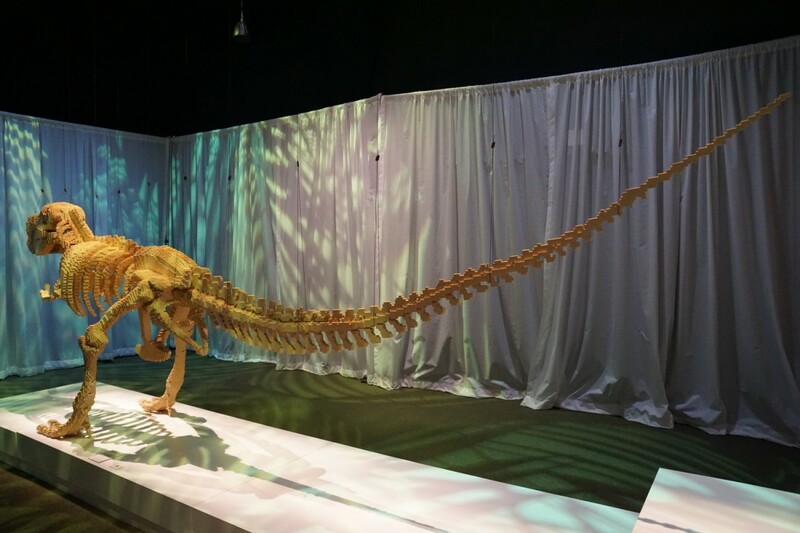 I mean, it’s ok to make a realistic model, but what about… an 8-meter one?! The source of inspiration was a famous ship: the Queen Mary – a transatlantic that crossed the ocean 1001 times. Aboard the old ship on the 4th of July 2015, its model was “launched.” Made out of about 250,000 Lego bricks, it was built in 4 months by a team of 4 people, led by Ed Diment. They did it for fun 11)”World’s Largest LEGO© Brick Model Ship Comes To The Queen Mary” – press release published by PR Newswire on the 18th of June 2015. For Ed Diment, this wasn’t his first creation of this sort. He has built many Lego ships in his life. Previously, he worked on the aircraft carrier U.S.S. Intrepid, a 7-meter long model, to which he “gave birth” after 9 months. There are several Lego sets which include caravans. But none compare to the one built by Bright Bricks, the company of the great creators Duncan Titmarsh and Ed Diment. The caravan was presented for the first time on the 12th of October 2015, at Motorhome and Caravan Show 2015 in Birmingham, England. That was the day it got into the Guinness World Records 13)”Fully-functioning life-sized caravan built entirely from LEGO bricks sets new record” by Rachel Swatman, article published by Guinness World Records on the 13th of October 2015. Every child made at least one Lego house. I mean, what’s the best use of actual bricks?! But a big “child” was needed to make an insanely big house! In 2009, the well-known TV producer James May was the creator and the host of the “James May’s Toy Stories” show. The idea of the show was to illustrate how the construction toys could be used in order to build something life-sized. The Lego bricks were not to miss! And, no matter how crazy this may sound to you, they actually built a real house out of tiny toy bricks! A two story house, to be precise. They even equipped it with a WC, a shower, a bed, etc. 3.3 million bricks were needed. You can imagine what hard work that was! To make it possible, the producers asked for the help of volunteers 14)”Lego house attempt for James May’s Toy Stories” – article published by The Surrey Advertiser on the 2nd of July 2013. And thousands answered the call 15)”Thousands give Top Gear’s James May a helping hand with Lego brick house” – article published by Daily Mail on the 1st of August 2009. On the 17th of September 2009, after a month and a half of work (much longer than was anticipated) the house was completed. James May even lived in it – to be honest, only for one day and one night. Only several days later, the house was demolished. It didn’t have… a construction permit. 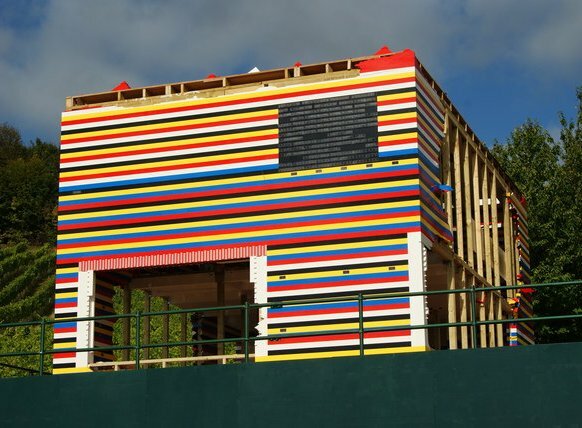 All Lego bricks were donated 16)”James May’s Lego house knocked down” – article published by The Telegraph on the 22th of September 2009. The model of the well-known stadium Allianz Arena in München was built in 2005 at Legoland in Günzburg, Germania. It is 5 m long, 4.5 m wide and 1 m high. It’s the biggest Lego model of a building, comprised of about 400,000 elements. It could have had even more pieces, but it is a side short, deliberately, so that the people can see inside this marvelous construction (which hides several surprises, to be discovered only by those who look carefully). Lego and Christmas go hand in hand wonderfully. The children – of all ages – know very well why. For the Christmas of 2011, Bright Bricks built, for the St Pancras Station in London, a 12-meter tall tree, with 172 branches and 1200 globes. All made out of Lego bricks, of course. No less than 600,000 of them 17)”Lego Christmas tree unveiled at London’s St Pancras station” by Simon Garner, article published by Metro on the 24th of November 2011! Maybe a statue 7.6 m high doesn’t appear very extraordinary to you. But if you think that it was made out of 1.5 million Lego bricks, put together piece by piece, well, that changes your point of view. 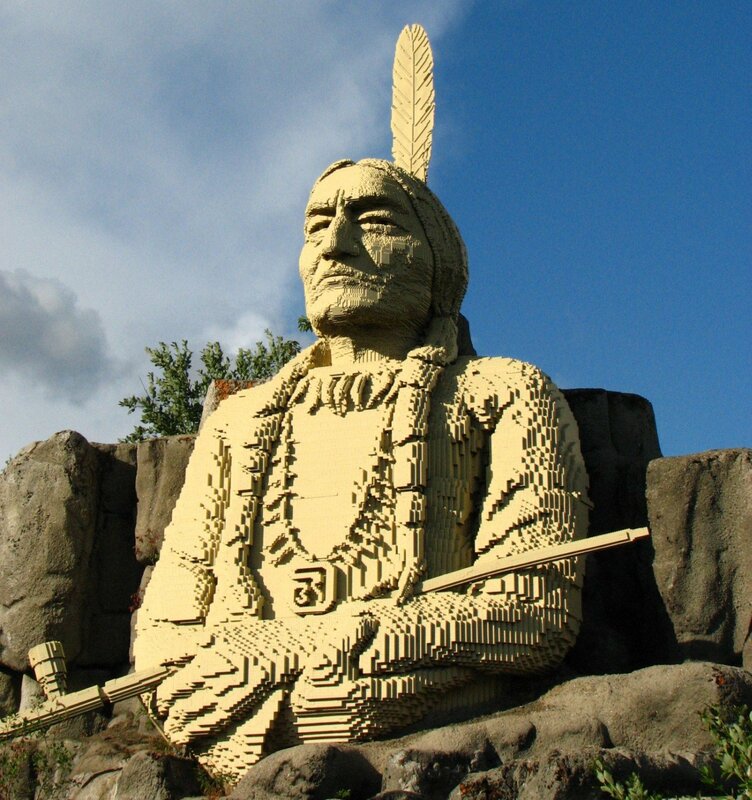 It’s the statue of Sitting Bull, the great tribal chief. Bjørn Richter is the one who made it possible, at Legoland in Billund, Denmark. The advantage of making a Lego skeleton is that you can take one load off your mind: the colour. So, if you decide to make a more complicated model out of Lego pieces, then a skeleton would be a good idea. Something like the skeleton of a dinosaur, let’s say a Tyrannosaurus Rex. Nathan Sawaya made just such a thing. It is “only” 6-meters long. Close to the size of a real dinosaur baby. 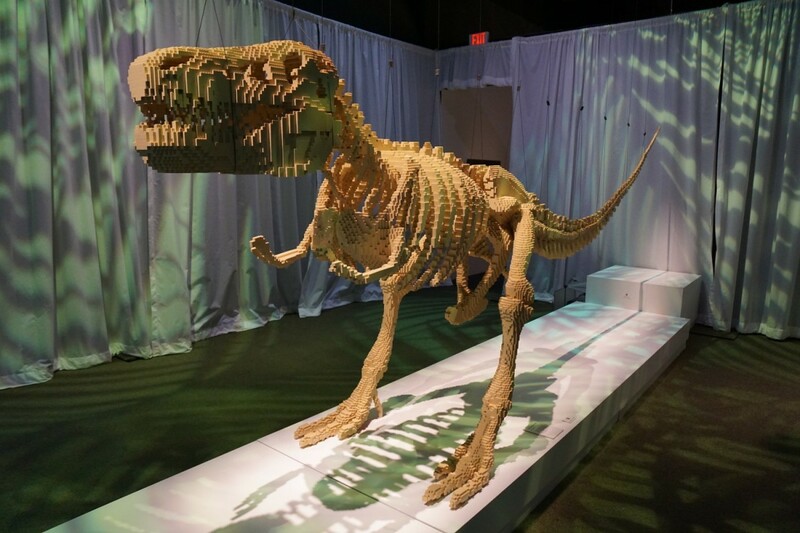 80,020 pieces and a whole summer were needed to complete this T-Rex. Enough to enter into the Guinness World Records. 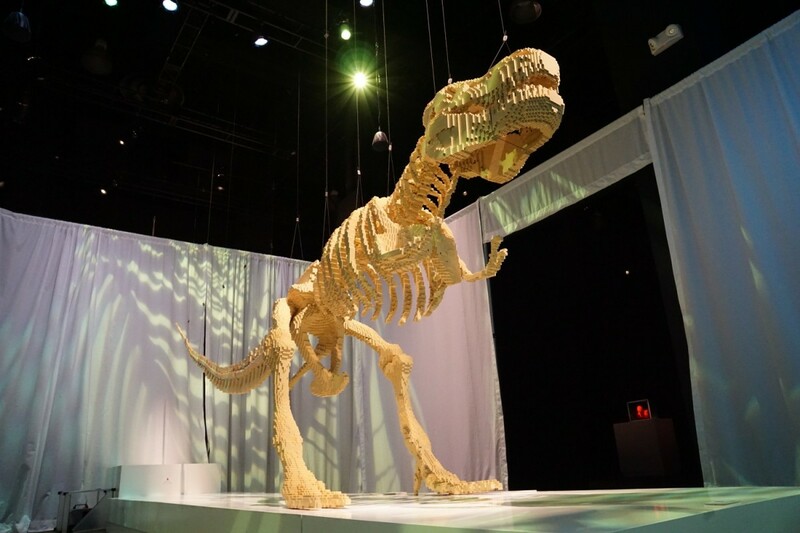 The impressive skeleton first appeared in 2011 at the private exhibition called “The Art of the Brick”. This happened because he is an artist famous for his Lego creations. Actually, he is one of the few who have received the official title of Lego Master Builder and Certified Professional. Let’s say you are a Lego aficionado. How big do you think your collection of mini-figures would be? Say a number. Don’t be shy. On the 27th of June 2008, at the Lego headquarters in Slough, England, an army of 35,210 Star Wars minifigures gathered – a record which entered into the Guinness World Records 18)”Guinness World Records 2014” – book published by Guinness World Records in 2014. Just imagine how long it took to arrange them all! On one hand, this is not fair. Lego already had the “ingredients” and stole the joy of the Lego Star Wars fans, who make efforts to collect the biggest army. There are many of them who have collections in the thousands. But it’s a very expensive hobby. No matter how much a child would cry and beg his parents to buy him some Lego, he won’t get that far; it takes a bigger “child” getting involved (even a married one). In 2012, Cartoon Network was launching the “Ben 10 Omniverse” animated series. 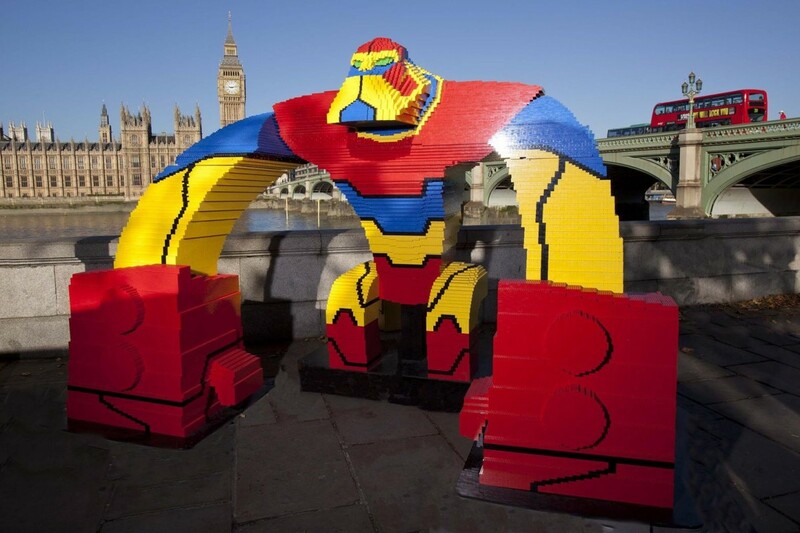 In order to promote the event, someone came up with the idea to build the Bloxx character out of Lego bricks. The result was a sculpture 3 meters high and 3 meters wide. If you’re not impressed with its dimensions, let me just say that it took 250,000 pieces and 570 hours to be completed. But the beautiful part is this: 18,556 people took part in the construction. For this reason, a caravan trudged over Great Britain for several months. The story began on the 4th of August 2012 in Glasgow. Every participant put together a few Lego pieces 19)”Scots weather girl Kirsty McCabe calls on families to help build record-breaking Ben 10 alien” – article published in Daily Record on the 1st of August 2012. The grand final took place in London, on the waterside of Thames, where singer Stacey Solomon (a finalist in the X Factor show) put in the last piece on the 9th of October 2012. The representatives of Guinness World Records were there to register the record 20)”Parenting News: Stacey Solomon Rounds off new Ben 10 World Record” by Shabana Adam, article published in Female First on the 12th of October 2012. The participants could bring their own pieces if they wanted to. Stacey Solomon’s uncle brought a Lego piece which has been his since childhood, and it was roughly two decades old 21)”Parenting News: Stacey Solomon Rounds off new Ben 10 World Record” by Shabana Adam, article published in Female First on the 12th of Octomber 2012. A piece which matched perfectly with the others, because all Lego pieces have been made according to the same standard since 1958. How many bricks can you “fish” in 30 seconds? On the 24th of November 2014, at Brick 2014 in London, Megan Scott from Great Britain managed to connect 37 bricks. The record was matched one day later, during the same event, by Nardy Nafzger from Holland. Both of them are officially recognized by Guinness World Records 22)”Guinness World Records 2016” – book published by Guinness World Records in 2015. 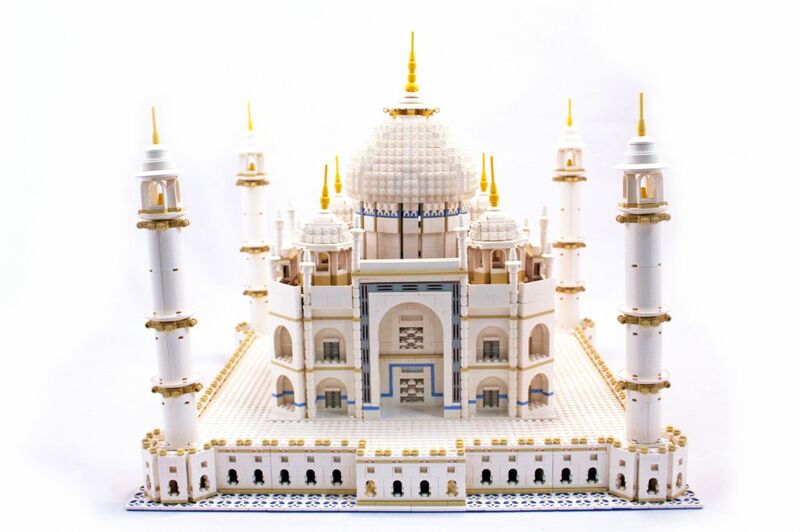 You can even build the famous Taj Mahal out of Lego bricks! The set has no less than 5922 pieces. It’s hard work ahead, but the result is beautiful. Still, you’ll have to be of royal descent in order to afford it – it costs 4250 dollars. Some people collect stamps, coins, badges or calendars. Others collect Legos. And by that I don’t mean the box in which your child keeps their toys together, but those collections comprised of Lego sets. How many sets do you think you can buy? You know, they are not exactly cheap. Plus they are not at all like stamps, you can’t put them in a stamp book; they take up quite a bit of space. 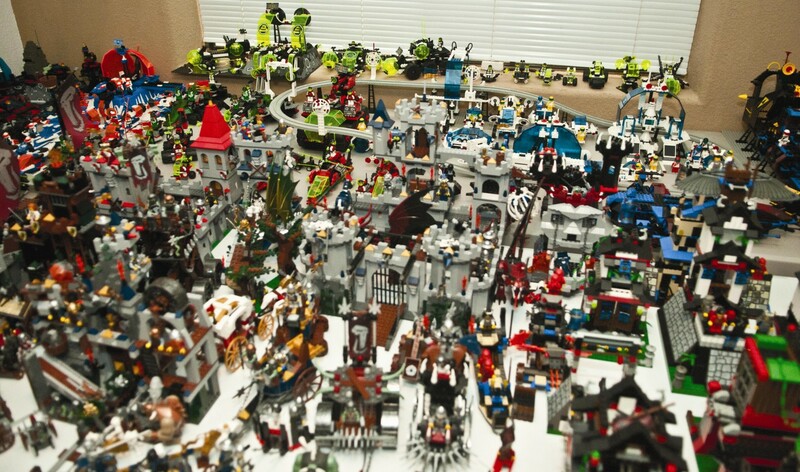 On the 23rd of July 2011, Kyle Ugone from Yuma, Arizona, was certified by the Guinness World Records as the possessor of the biggest Lego set collection: 1091 Lego sets! Actually, there were 1251 sets, but some of them were not taken into consideration for different reasons. For example, they no longer had the instructions (one more reason to take good care of them) 23)”What about toy soldiers? 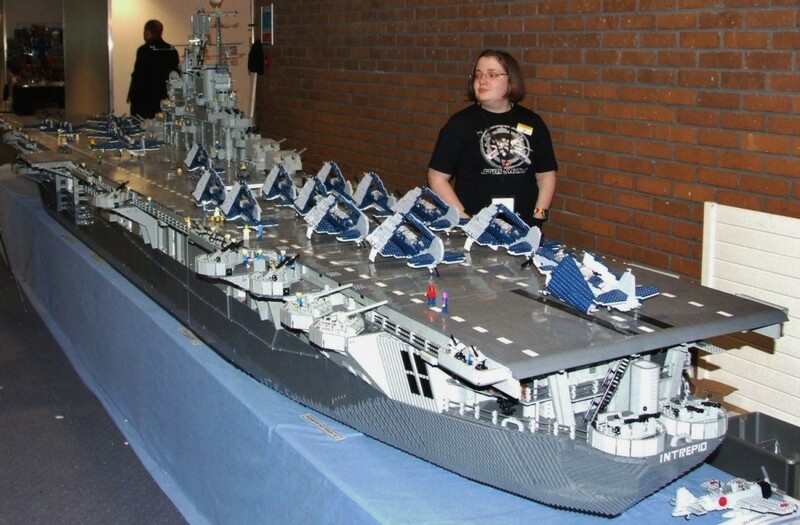 Marine Corps captain sets Lego collection world record with 1,091 completed sets (and will now take them apart to put back in storage)” by Beth Stebner, article published in Daily Mail on the 27th of January 2012. Of course, he didn’t acquire so many Lego sets over night, but began his collection in 1986. The kid back then became a grown man and an officer in the Marine Corps and, in his spare time, he plays with Lego. Just like water drops ultimately form an ocean, so too can Lego bricks create all sorts of wonders. All they need is somebody to put them together. What record do you intend to break? You’ll say that those achievements have established some records that are almost impossible to be broken. It may be so, but those records are not to last forever. You can always come up with a new idea. What about the biggest Lego rainbow? It’s great to see what astonishing records some people have set, although your personal ones are much greater. It’s also true that they are significant for you only. But what significance indeed! And if you keep outdoing yourself, some day they will have significance for others as well.